We have seen it at every disaster recovery center Extension educators have staffed — people missing necessary records and important papers that could help them in their recovery from a natural disaster. Replacing these important documents takes time and often money that could be used in disaster recovery for other purposes. 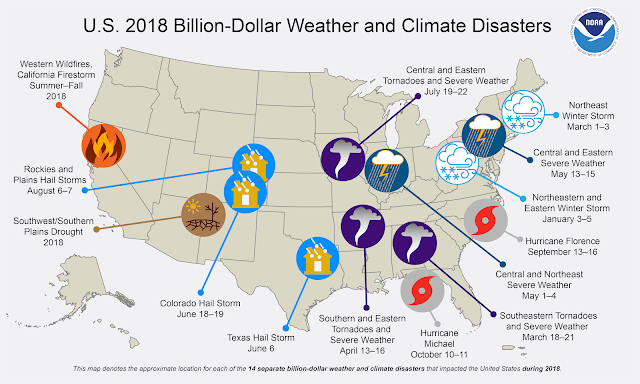 Everyone tends to think, “This won’t happen to me,” but it could happen to any one of us because disasters are increasing in frequency and intensity over the past decade. This can be a file case or binder. Store the file in a place where all family members can quickly grab it and go. Make sure that your file case or binder is small enough to easily fit in a backpack or other small travel bag and keep it in a waterproof container. The Roadmap for important papers lists which papers you would likely include in the grab and go file. Replacing your personal papers will tell you where to go to replace documents in case something still ends up missing after a disaster. A home inventory will help you determine if you have enough or the right type of insurance to cover the contents of your home and property. After a disaster, the inventory will help prove the value of the possessions that are damaged or destroyed. This is helpful for insurance, assistance, or tax deduction purposes. A simple way to begin an inventory is to take pictures of items in your home or to record a video on your phone of items in your home. Be sure to make a copy of this inventory and keep it with your grab and go file. Extension educator Sara Croymans and I recently completed a series of focus groups about financial preparedness for disaster. Something we heard from agency staff and disaster survivors was that it feels overwhelming to think about preparing for a potential disaster. We recommend thinking about a series of small steps you can take to become prepared. Could you download and print the Roadmap for important papers? Could you find a file or binder to start compiling your important papers? Could you start making an inventory of items in your home? Consider one task that you can do to prepare yourself for a disaster. What steps will you take?